It is with deep regret that the Ministry of Defence must confirm the deaths of Gunners Stephen Robert Wright and Samuela Vanua, both of The Royal Artillery, in Iraq on Monday 4 September 2006. Gunners Wright, 20, and Vanua, 27, from 58 (Eyre’s) Battery, 12 Regiment Royal Artillery, died as a result of injuries sustained from a roadside bomb at approximately 1300hrs local time near the town of Ad Dayr, north of Basra City. They were on a routine patrol in support of a Danish reconstruction team when the incident occurred. The explosion hit their vehicle patrol as it was returning to base following a routine task training the Iraqi Police. Very sadly the incident killed these two soldiers from the Battery. Gunner Stephen ‘Trigger’ Wright was born on 18 May 1986 in Preston, and grew up on Belcarres Road, Leyland, Lancashire. He decided at an early age that he wanted to pursue a career in the British Army, and enlisted on 11 December 2002 as a 16 year old. After completing his training ‘Trigger’ was posted to 12 Regiment Royal Artillery, joining 58 (Eyre’s) Battery Royal Artillery on 2 April 2004. The deployment to Iraq was ‘Trigger’s’ first operational tour and he had been very keen prior to deployment to ‘do his bit’, an attitude which he maintained in theatre. He was serving with 58 (Eyre’s) Battery, normally based in Sennelager, Germany, as part of 12 Regiment Royal Artillery. The Battery currently forms part of the Danish-led Basra Rural North Battle Group and is four months into a six-and-a-half month tour of Iraq under the overall command of the UK’s 20th Armoured Brigade. ‘Trigger’ was highly regarded by his commanders and peers alike and undoubtedly had a bright future ahead of him. Indeed he had been selected to attend a promotional course on return to Germany. He was a soldier who had embraced the Army life and what it could offer him and looked forward to a long career in the Royal Artillery; where he was very much a member of ‘the family’. ‘Trigger’ was a well-respected member of the Battery, where he was well known for his sense of humour. He was a quiet man but could always be relied upon to shine when times were hard and you least expected it. He had an infectious smile which kept the Multiple in high spirits, both in training and on tour. He was not an active sportsman and had been told on many occasions that he had two left feet. Nevertheless he loved taking part, even if that meant injuring his friends. A very social person, ‘Trigger’ was never one for sitting around and letting the world pass him by and would lead from the front at any social event. Gunner Wright was single. 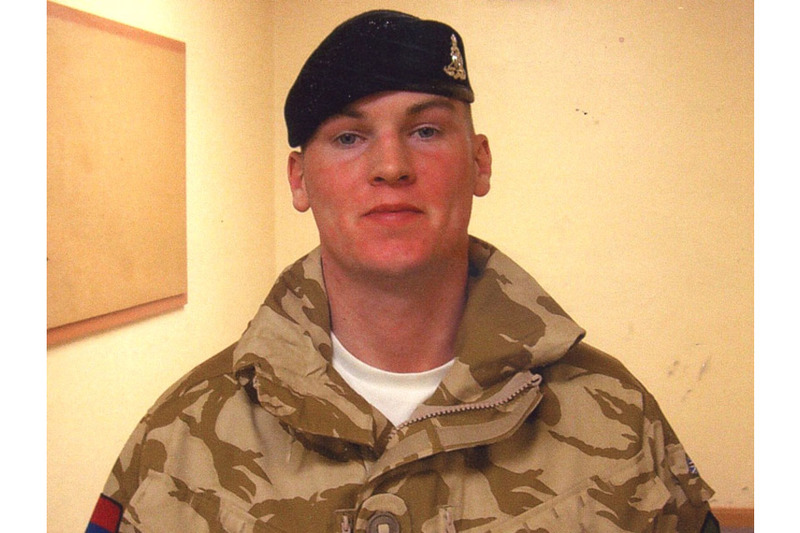 It is with immense sadness that I learned of the death on operational service of Gunner ‘Trigger’ Wright, in Iraq. Gunner Wright was a valued member of the Regiment who was partway through his tour of duty doing what he wanted in life; serving with his Regiment and his team mates on operations. This personable young man had already made a big impact with his Battery. When I last visited 58 (Eyre’s) Battery in July, I was struck by Gunner Wright’s confidence, growing maturity, and belief in himself. A quiet man, never one to offer unnecessary comment, he preferred to speak only when he had something of value to add. Gunner ‘Trigger’ Wright had very much come of age in Iraq where he displayed unwavering loyalty to the Battery, his multiple and his team. To lose such a valued young man under these tragic circumstances has affected all us enormously. We mourn Gunner Wright’s passing and will do all we can to support his many friends and family. He will be sorely missed by his friends and colleagues in Germany and within the Battery serving in Iraq. Stephen’s death has come as a massive shock to his family who are still grieving the death of his mother, Elaine, who died suddenly 10 months ago. Stephen has since made his home, when on leave, with his grandparents Robert and Shirley Wright, of Leyland. Stephen attended Wellfield High School. On leaving school, he had a short time in the cadets before joining the Army. He spent an enjoyable 12 months at the Army Foundation College in Harrogate before being posted to Germany and then to Iraq. Stephen was a quiet, happy, young man who enjoyed nothing more than spending time with his friends and family. A few weeks ago, he spent time at home with his grandparents on R&R before returning to Iraq. He was looking forward to going back to finish his duties. Stephen loved the Army life. It was all he wanted to do. The whole family is very proud of him. I was extremely sad to hear of the death of Gunner Wright. By all accounts he was a most valuable member of his unit and a tribute to his Regiment. My thoughts are with his family and friends at this difficult time. Gunner Samuela Vanua, known as ‘Sammy’, was born on 26 May 1979 in Fiji. He joined the Army on 16 April 2002 and was posted to 4th Regiment Royal Artillery, based in Osnabruck, Germany, on 18 November 2002 following his basic training. He was attached to 58 (Eyre’s) Battery, part of 12 Regiment Royal Artillery, from 3/29 Battery, 4th Regiment Royal Artillery. 58 Battery currently forms part of the Danish-led Basra Rural North Battle Group and is four months into a six-and-a-half month tour of Iraq under the overall command of the UK’s 20th Armoured Brigade. He was the archetypal Gunner: tough, hard-working and resourceful. He was hugely popular in 3/29 Battery, throughout 4th Regiment and with his many friends across the Army. Gunner Vanua was a soldiers’ soldier who enjoyed the diverse challenges of military life. He had proved himself to be a skilful, reliable field gunner on the AS90 artillery gun during a number of demanding exercises in Germany and Canada. He was always willing to pass on his hard-earned experience to the newer soldiers, demonstrating the clearest potential for early promotion. This same commitment and professionalism was even more apparent on operations, where he spent the majority of his relatively short career. He deployed in the dismounted infantry role with 4th Regiment in Northern Ireland in 2003 and Iraq in 2004-05, where as a rifleman in Basra he was courageous, utterly dependable and ready to tackle any challenge. It is testament to Gunner Vanua’s robust character and selfless dedication that he volunteered to deploy to Iraq with elements of 12th Regiment Royal Artillery in April 2006, so soon after returning to his own unit. A strong team player on the sports pitch as well as at work he played a number of sports to a high standard. His main passion was rugby union where he represented the British Army (Germany) and played a key part in the Regiment’s successes over a number of seasons. His deft touch and aggression at scrum-half will be sorely missed when the Regiment joins the Premier League next season. Gunner Samuela Vanua was a superb soldier who was immensely proud to be part of the British Army and the Royal Artillery. He will be sadly missed by all-ranks of his parent unit, 4th Regiment, and by everyone else who was fortunate enough to know this kind and genuine young man. Gunner Vanua’s parents live in Suva, Fiji. He was single. 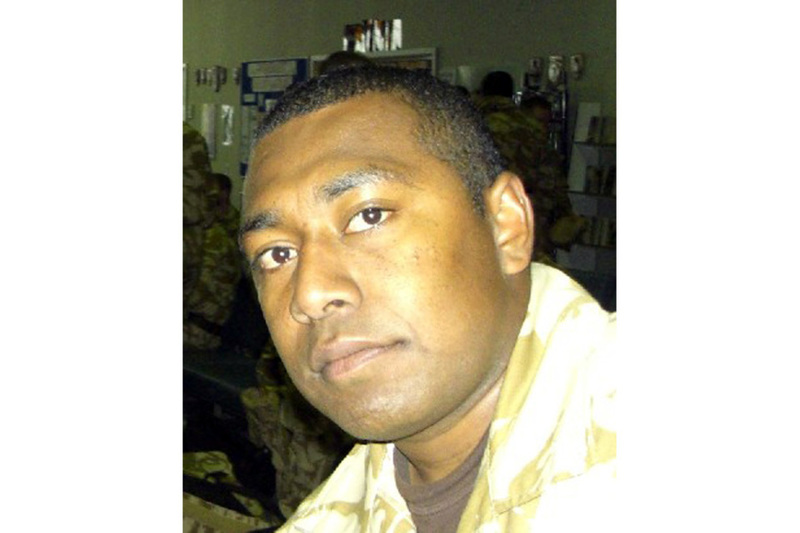 I am deeply distressed by the tragic death of Gunner ‘Sammy’ Vanua, killed on operations in Iraq on 4 September 2006 whilst serving with 58 (Eyre’s) Battery. Gunner Vanua was attached to 12th Regiment Royal Artillery from 4th Regiment, based in Osnabruck, Germany for the duration of this Iraq tour of duty with 20th Armoured Brigade. Although, due to the nature of his attachment, Gunner Vanua was not widely known across my Regiment, he had made an emphatic mark on operations in Iraq, establishing himself quickly as a valued member of the team and very much a character within the Battery. When I last visited the Battery in July I got to know Gunner Vanua when he accompanied me on a long patrol. I was impressed by his excellent attitude, infectious cheerfulness, conduct and confidence. I have many Fijian soldiers in my Regiment; I could see he was there with the best of them. His cheeky grin characterised a mischievous good humour that endeared him to all. Popular throughout the Regiment, he was fantastic company at work and socially. A young man growing in confidence and maturity, Gunner Vanua had obvious potential for a hugely successful career. A high quality, motivated soldier of whom the Army, his Regiment and his Battery is rightly very proud. Gunner Vanua was a credit to Fiji and will be sorely missed by all. Our thoughts and prayers at this dreadfully sad time go especially to his family and friends in Fiji, who will feel his loss most keenly. My sincere condolences go to the family and friends of Gunner Vanua - my thoughts are with them during this difficult time. Gunner Vanua’s professionalism was a credit to his native country of Fiji and his contribution towards the reconstruction of Iraq will not be forgotten.